– Everything they make, they make with love. – Their branding is a.m.a.z.i.n.g, and we love their social media presence! – We love the creativity placed behind every single product – these girls are sheer awesomeness, and total out-of-the-box thinkers! 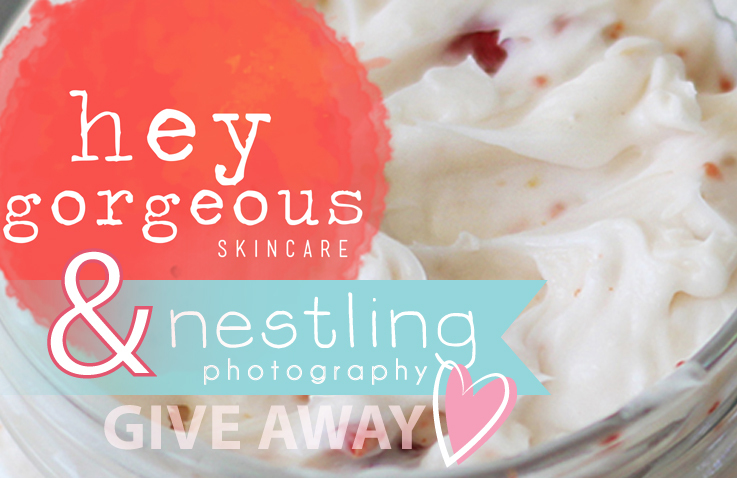 – ‘Hey Gorgeous’ is a family run business. Real people. Real products. – They source locally & use only natural ingredients, like organic essential oils to bio-dynamically grown botanicals, fruit & nut oils. – Our planet is important to them. They try to keep their carbon footprint small. – Their products are cruelty free! – They love helping people feel confident and gorgeous. – They are based in South Africa, and offer worldwide shipping. Keeping both yours (..and your baby’s skin) smooth, soft and supple has never been easier with this fabulous range of skincare products – your skin will be radiant, smell wonderful, and will instantly become deliciously touchable! A special and warm thank you to the ‘Hey Gorgeous‘ Team for spoiling one lucky mama and her munchkin! We love your generous and beautiful hearts! Step 3: Share the Giveaway Banner on your Facebook wall. *Winner will be selected at random and announced on the 5th Feb 2014.